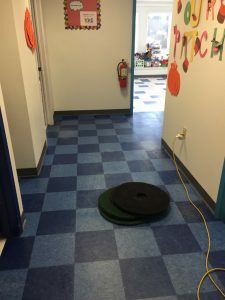 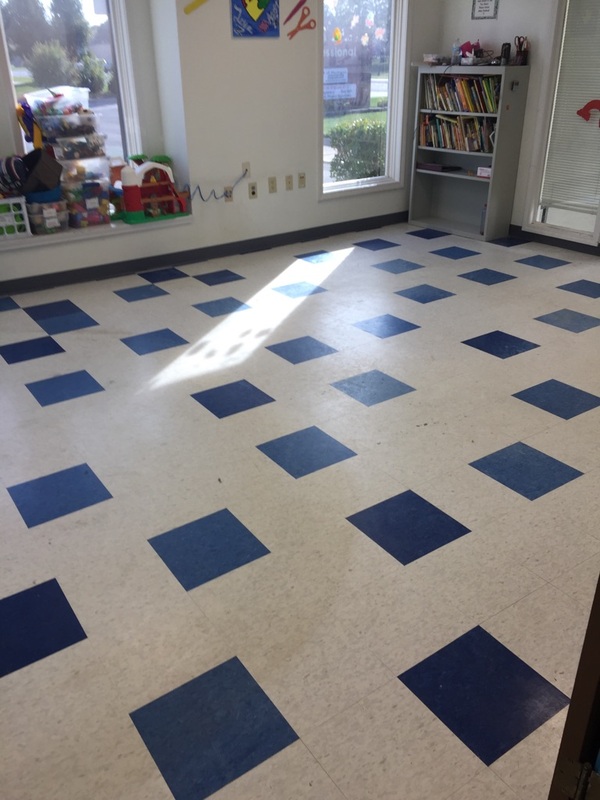 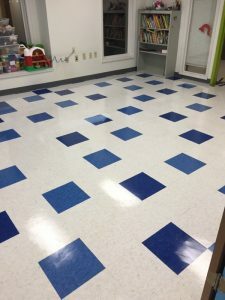 Vinyl Composite Tile (VCT) is a very popular flooring application in commercial buildings and requires stripping and waxing periodically to maintain it’s fresh, clean finish. 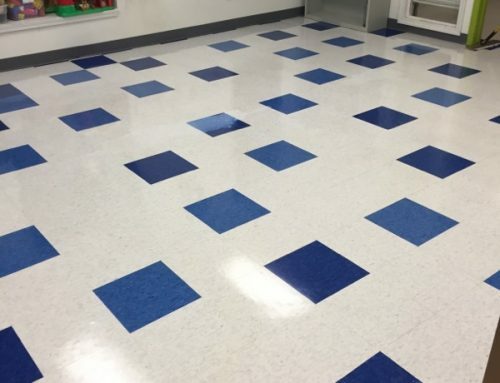 As the sealant wears away, the tile develops a dull and discolored appearance giving the illusion of being ‘dirty’. 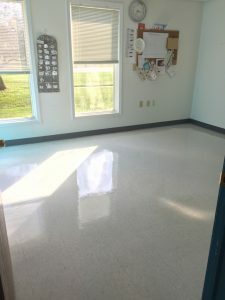 A properly waxed floor is easier to clean by mopping and maintaining the protective sealant also protects the tile itself from being damaged beyond repair. 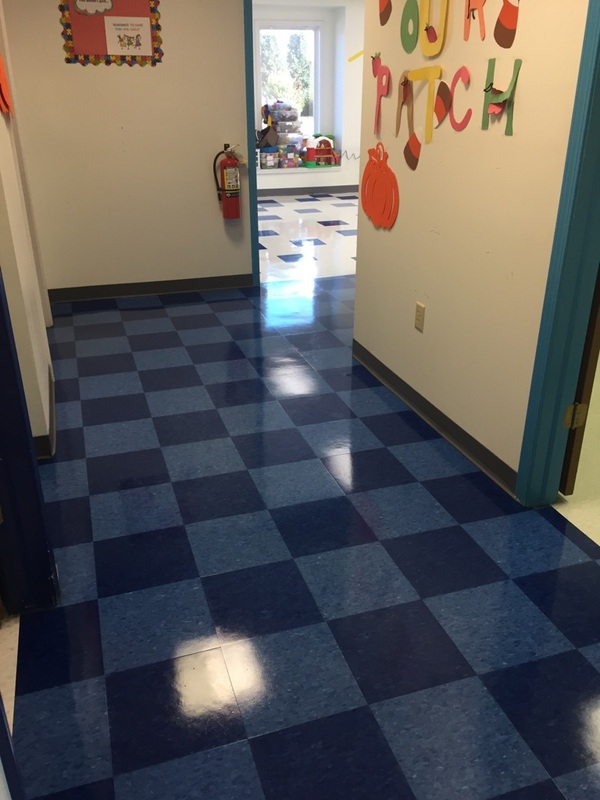 Do you have questions about floor care? 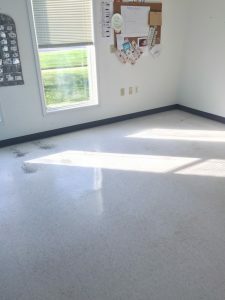 Wondering if it is time to refinish your VCT flooring? 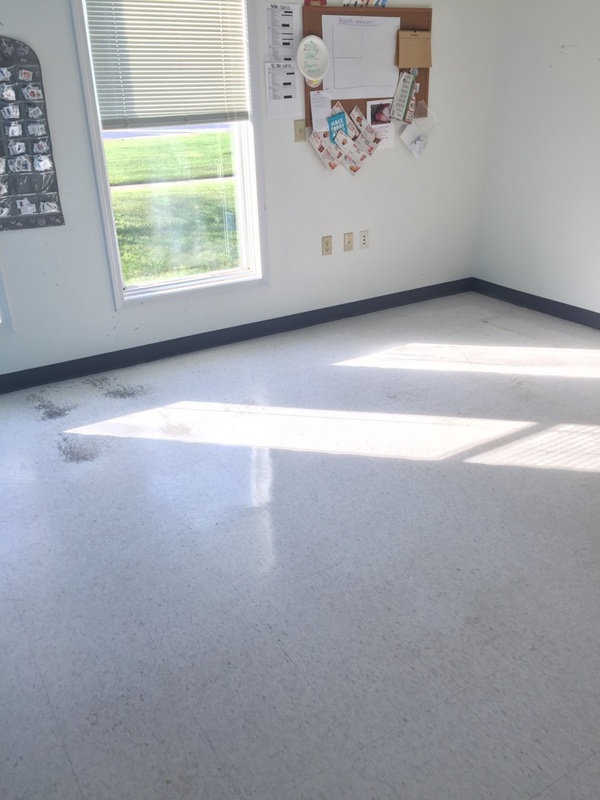 Give us a call today at 586-997-3337 for an expert opinion and quote!